For Sale in High Peak for Guide Price £450,000. ++++ Was 500,000 Now 450,000 ++++ Countrywide Residential Development and Bridgfords are delighted to bring to the market a consented parcel of land located off Dollywood Close, Buxworth. 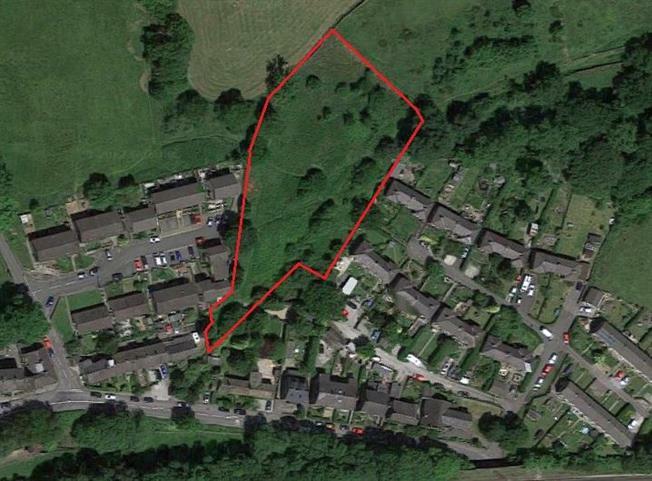 The site measures approximately 0.3 Ha and sits between Dollywood Close, Brierley Park and Station Road. Outline planning consent was granted by High Peak Borough Council (Planning Reference: HPK/2016/0108) on the 24th November 2017 for the residential development of the site. The outline application reserved all matters for future consideration. A planning condition restricts the development of the site to no more than 5 dwellings. The site is located approximately 1.5km west of Chinley and 2km south east of Furness Vale. There is a change in levels across the site from north to south, with the northernmost point being some 5m above Station Road to the south. Guide Price and Offer Process: The site is available freehold with a guide price of 450,000. Services: Although we understand all mains services are available we advise that purchasers should make their own enquiries as to the availability of services and utilities to the site. Disclaimer: We would like to point out that all measurements, plans and photographs are approximate and for guidance purposes only.